After years failing to try to catch up “Marvel Studios”, the “DC Universe” is now shaping, and it seems they found a way to make good and entertaining movies for all. We had “Wonder Woman” (2017), and then last year, “Aquaman” and now “Shazam!”. It comes another big hit, and makes me excited to see what comes next to this new “DC Universe”. “Shazam!” follows the story of Billy Watson, a boy who is trying to find his place in the world, with some questionable attitudes, and his desire to find his family. A family adopt him, and he started living with them, something that he never had before. With that, he is chosen to be the one to protect the world, and turn into his full potential form, Shazam. Directed by David F. Sandberg, the one who directed the good indie horror movie in 2016, “Lights Out”. Now give us a fresh super hero movie, with such heart and passion. The DC movies were known for being dark, with not so many jokes at all. It failed not only with the critics, but also at the box office. David brings a fresh and also very kind movie that talks about family and it reminded me of the “Spider-Man”, directed by Sam Raimi or even the “Super-man” with Cristopher Revee. In which, both movie have such heart, and you can create such sympathy for the characters. The triumph of the movie is everything related to the family, and the jokes. Shazam played by Zachary Levi, which he kills it as Shazam. His is so funny and his dynamic with his family works perfectly. He played the perfect superhero but with the dilemmas of a young kid that does not know much about protecting the world and how to deal with the fact that with power comes great responsibility. In counter part, the villain, played by Mark Strong, does not do much, and it is nothing special. Just another villain trying to rule the world. 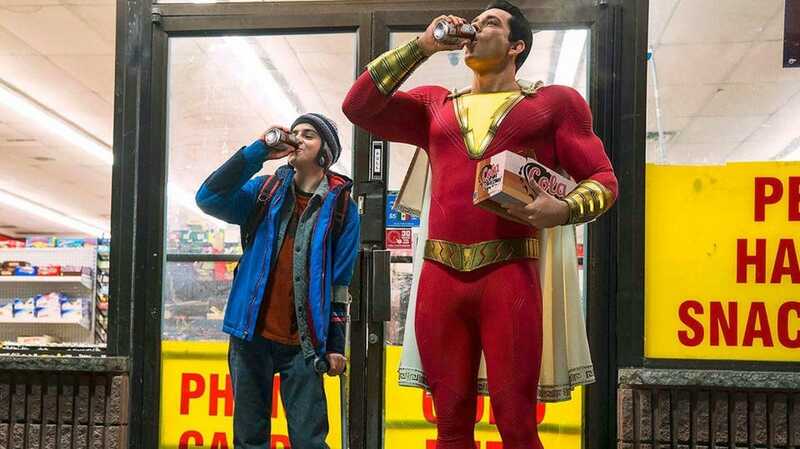 “Shazam!” is the best DC movie since the Christopher Nolan’s Batman, it contains a good amount of jokes and a good package of action as well. The movie succeeds so well to create a fun and lighter universe for the DC movies, with such passion, heart and charisma. I’m looking forward to see what they do next with Shazam, and how they keep up with this new universe. I also thought Shazam” was a wonderful film, that held a lot more value than just “another hero” per say. The struggles of his family connection creates a good balance, however i do wish that the villain in “Shazam” was a little less two dimensional. I agree with you that it’s “Just another villain trying to rule the world”, but i wish there was more character development between the villain and the hero in this movie. It would just make it that more interesting. Definitely one of the more lighthearted marvel films to say the least.